Established in 1992, CKP Acrylics is one of the UK's leading specialist plastics manufacturers. We supply products to a wide variety of industries including boat and car manufacturers, shop fitters, point of sale, display and exhibition companies. Our smaller oven and presses are used for press-forming parts such as headlight covers, and we can also vacuum form acrylic up to 3mm thick. 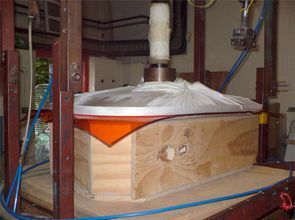 CNC routing machines and fabrication equipment, coupled with our drape forming capability, allow the manufacture of a wide range of products, normally in acrylic, but also including most sheet plastics, such as polycarbonate, PETG, Foam pvc, pvc, HDPE, polypropylene, polyethylene and acetal. We offer a variety of facilities for a selection of applications; we also sub-contract to other professionals so that we can provide the full service. For further information please browse our website, or contact us by calling or email now.